Presentation has always been a big factor while serving food. Sometimes obvious areas for improvement are easily overlooked; most people do not think twice about grabbing a pizza wheel to cut up some slices. 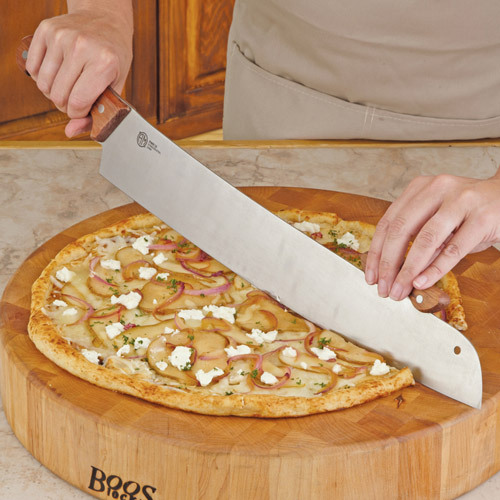 But a knife, a Pizza Knife specifically, could make a big impression. Especially when the thing is eighteen-inches long! Wow, now that’s a knife! Hopefully that homemade pizza stands up to it.